Finance Minister Shri Arun Jaitley and Union Minority Affairs Minister Shri Mukhtar Abbas Naqvi inaugurated “Hunar Haat”, here today. This Hunar Haat has been organised at State Emporia Complex, Baba Kharak Singh Marg, Connaught Place, New Delhi from 12th to 20th January, 2019. Appreciating the Minority Affairs Ministry for organising “Hunar Haat”, Shri Jaitley said that “Hunar Haat” is a great effort at projecting the talent of Indian artisans. Shri Jaitley took a glimpse of indigenous exquisite pieces of Handicraft & Handloom work and also encouraged master artisans who have come here from every corner of the country. He said that branding of art of master artisans of the country is very important and programmes such as “Hunar Haat” are playing an important role in this direction. Such programmes will benefit lakhs of people associated with this sector. 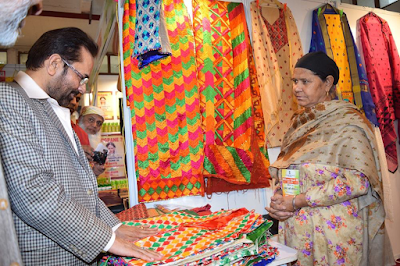 On the occasion, Shri Mukhtar Abbas Naqvi said that “Hunar Haat” has proved to be a “credible brand” of “Indigenous Talent” of Indian artisans and craftsmen. “Hunar Haat” has ensured “Development with Dignity” of artisans and craftsmen of the country. Shri Naqvi said that the Central Government has constructed "highway of development" by removing the "speed breaker" of religion, region and caste. "Hunar Haat" is a part of this "highway" where the “vehicle of empowerment of artisans” is moving forward. He said that art and culture of the entire country is present under one roof in this “Hunar Haat”. Artisans and craftsmen of the country have a legacy of spectacular art. The Central Government is working to promote this heritage. Shri Naqvi said that “Hunar Haat”, being organised across the country by the Ministry, has proved to be “Empowerment & Employment Exchange” for master artisans and craftsmen. The employment oriented program of the Government like “Hunar Haat” has significantly encouraged and promoted the rich traditional heritage of master artisans which had been marginalised for a long time. 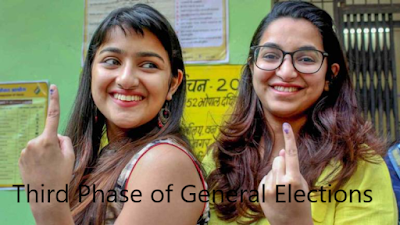 Shri Naqvi said that “Hunar Haat” has become a “credible brand” to fulfil Prime Minister Shri Narendra Modi’s commitment to “Make in India”, “Stand up India”and “Start up India”. During the last one year, “Hunar Haat”, organised at various parts of the country, has been successful in providing employment opportunities to about 1 lakh 62 thousand artisans and other people associated with them.“Hunar Haat” has become a credible and renowned brand where exquisite Handicraft & Handloom made by master artisans and various delicacies from across the country are available under one roof. Shri Naqvi said that master artisans, culinary experts including a large number of women, from every corner of the country are participating in this “Hunar Haat” at New Delhi. The visitors are enjoying traditional food such as Awadhi Khana, Rajasthani Pakwan (Dal Bati and Churma), Gujarati Thali, Maharashtrian Cuisine, Jackfruit delicacies from Kerala, delectable and mouth-watering sweets like phirnee, Shahitukda, Halwa, Bengali Sweets, Rajkot famed sweets anda variety of flavoured Paan. Earlier, “Hunar Haat” had been organised at Allahabad, Pragati Maidan and Baba Kharak Singh Marg at New Delhi; Puducherry and Mumbai. In the coming days, “Hunar Haat” will be organised at other states of the country. Minister of State for Minority Affairs Dr.Virendra Kumar and senior officials of the Minority Affairs Ministry were also present on the occasion.